This video teaches the very important QIGONG basics to Advanced which is the foundation of your T'ai Chi training. Static and moving stances utilizing breathing techniques. Essential for self healing. 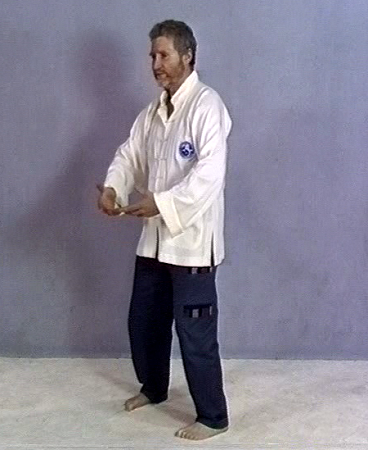 All of Taiji (T'ai Chi) is regarded as qigong. However, while you learn your Taiji form, it is the qigong that will give you the greatest benefit health wise, until the Taiji form is able to be performed without thinking and in perfect balance. It may take up to 3 years for the Taiji form to become perfect enough for you to gain the great benefits that this exercise imparts, so the qigong helps out during this time.